Xiaomi tries their hand on stock android with Mi A1 and Mi a2. For most of the users, it was love at first sight. Yes, there is no doubt that Android one impressed many of us because it is much better than MIUI. It is absolutely correct that Android one doesn’t offer that much features what you get on MIUI ROM, but believe me in term of speed it is far better than MIUI. So, if you want to use Xiaomi Mi A2 Android One Rom On Xiaomi Redmi Note 5 pro, then you have came to the right place, Here you will get a detailed guide on How To Install Android One On Xiaomi Redmi Note 5 Pro. Why Everyone Loves Android One ROM? The best thing what i like about Android one rom is that they are not too hard. Which means unlike other OEMs it sticks to minimum customization. Xiaomi Most of the Devices comes with MIUI Rom and MIUI has already made a large fans following just because of its iOS-like interface. But Don’t you think Android-based ROM could try to ape it biggest competitor? See iOS design flaws are favourite of most of people. For instance, whereas stock Android provides an app drawer, iOS doesn’t provide any App drawer. Bundling all you android apps directly on your home screen can be fun for time. May be it works flawlessly if you have installed only few apps. Suppose i have almost 35 apps installed on my Redmi Note 5 pro and i was not happy with how MIUI organize all apps. I just wanted to be a dedicated area that would sort my apps in a specific order. Now Android one has solved my problem. It gives me power to decide which apps i want to keep it on my home screen and rest sit in the app drawers. That’s why I love android one interface. Another important thing that with android one you will receive up to two years of upgrades to the latest version of Android. Now let’s jump to the real tutorial about How To Install Android One On Xiaomi Redmi Note 5 Pro? How To Install Android One On Xiaomi Redmi Note 5 Pro? Step 1. First of all go to Go to Unlock Request page and click on Unlock button to Apply for unlocking Mi devices. Step 2. Now a new page will be opened where you have to enter Mi Login ID & Password. Make sure that you log in with the same account on the device and Mi Flash Unlock Tool. Step 3. Once you are logged in with Mi account you will see an Unlock Application Permissions page. Step 4. Now you have to fill the form with proper reason to unlock Bootloader of your device. You can choose any reason which is given below. Step 5. You have to fill the full form. Step 6. In the page you have to verify your mobile number. Just enter the OTP send on your registered mobile number. Step 7. Once you have successfully verified your registered mobile number you will be redirected to a page saying that Application has been successfully submitted, Please be a patient review. It will take 2-10 days for approval. After successful review you will get confirmation message on your registered mobile number. Once you got the confirmation message you can proceed to the Bootloader unlocking process through mi flash unlock tool. Step 8. First of all enable developer option on your phone. Read this guide to enable Developer option. Step 9. Download and install Flash tool on your window pc. Step 10. 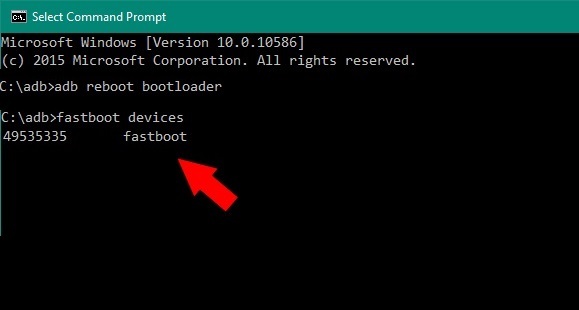 Now you have to reboot your device in bootloader mode. Step 11. Now open miflash tool and login with the same Mi id which you have logged in on your xiaomi device. Step 12. Now connect your phone to the computer through USB cable. Step 13. Now press the “Unlock” button. It will take 15-20 seconds for the process to complete. Congratulation!! You have successfully unlocked mi bootloader. Enable USB debugging and OEM Unlocking. Now First of all download Xiaomi Redmi Note 5 pro USB driver and ADB driver and install it on your Pc properly. 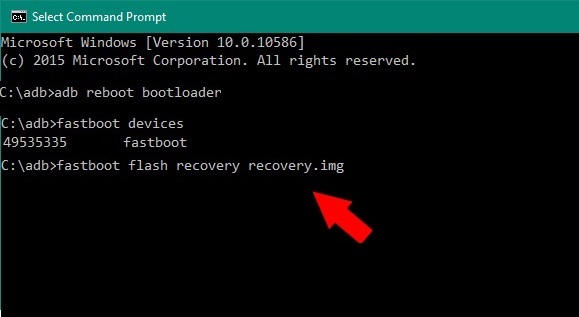 Go to the Recovery folder, Press right click of your mouse while holding the Shift button on the Keyboard. From the options, Select “Open Power Shell window here” or “Open Command Window here”. If your device is connected properly you will find your device name below the command. Now it’s time to install Twrp on Redmi Note 5 Pro. Type the given below commands to Flash TWRP file. You have successfully installed TWRP recovery on Redmi Note 5 Pro. Enter the Given below command to Reboot your Smartphone. Step -1. First of all download These 2 files on Your Redmi Note 5 Pro. MI A2 Android One ROM. Step -2. Now you need to Boot your phone into TWRP Mode. To Boot into TWRP Mode. First you need to switch off your Redmi Note 5 pro. Press Power and Volume down at a same time for few seconds. Release it when Mi Logo splash on Your screen. Step -3. Once You are in TWRP mode, Go to Wipe > Advance Wipe and Tick Mark Dalvik Cache, Data, system and Vender and then Swipe to wipe. Step -4. After successful wipe come to the homepage of recovery Mode. Step -5. Now Go To Install and Then search for the MI A2 ROM which you have previously downloaded from our website and select it. Step -6. Again Click On Add More Zip and Select the NoName Zip file which you have also downloaded from our website. Step -7. Now finally Just Swipe to install. That’s all once it is installed, Reboot Your phone and Finally you have installed Android One On Xiaomi Redmi Note 5 Pro. This tutorial will help you to Install Android One On Xiaomi Redmi Note 5 Pro. This was the complete guide on How To Install Android One On Xiaomi Redmi Note 5 Pro. I hope you will find this article helpful, Please share it on Facebook and Whatsapp.